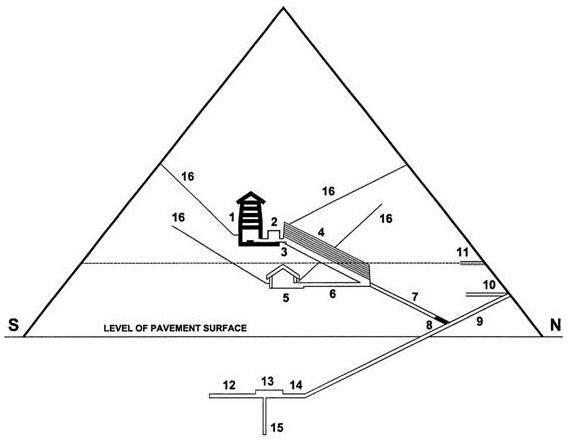 Over the years many have proposed various methods to explain how the Great Pyramid was built, yet as a rule such proponents ignore the fact all the pyramids of Egypt, if not the world, also require the same explanation. As amazing as the details of G1 may be, it still follows the same general construction principles as the rest therefore whatever method is devised to explain G1 must apply to all. Which of course they never do. 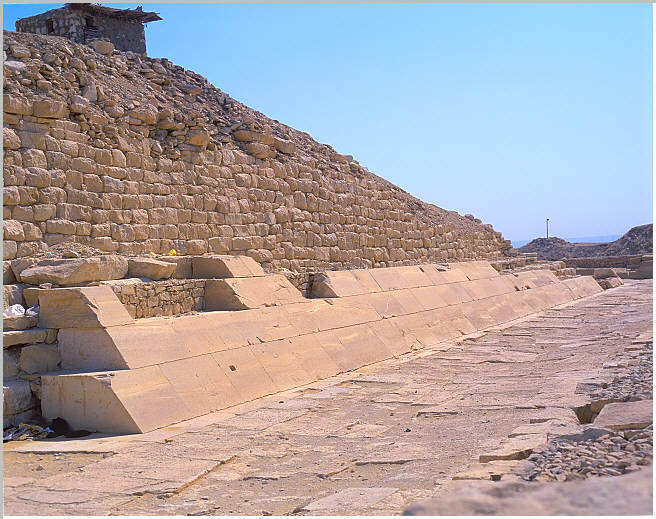 What we can see without exception in Egypt from exposed pyramids, whether the finished product was smooth sided or not, the principle structures are stepped built around a central "tower shaped" multi-stage (stepped) core. 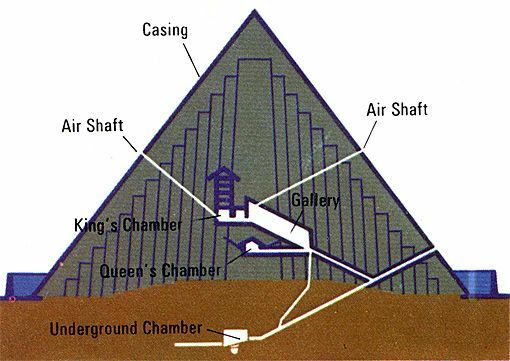 What we see is that before, during, and after the construction of the great pyramids, G1 included, that with every exposed pyramid we see the same basic stepped tower core construction method which there is no reason to expect the great pyramids, including G1, to be any different. What this means is that the core facing blocks are not stacked in horizontal courses deck by deck until you get to the top, but rather vertically in rows around a multi-stage inner tower core with the final outer core laid horizontally. These results are deduced from direct observation and should be regarded as minimum values. For the great pyramids [G1/G2], we propose a model postulating larger volumes and heights of approximately 20m [65ft]. The point is that when considering construction methods and sequences for G1 (and G2) what needs to be taken into account is that at least 23% of the volume was already there which is a number based on the total volume of the pyramid. If we accept the natural outcrop to have been 65ft high this would actually be a much higher percentage of the volume up to that height, probably at least 50%(?). 1) The majority of the base of G1, its greatest volume to this height, was already there in the form of the natural outcrop. 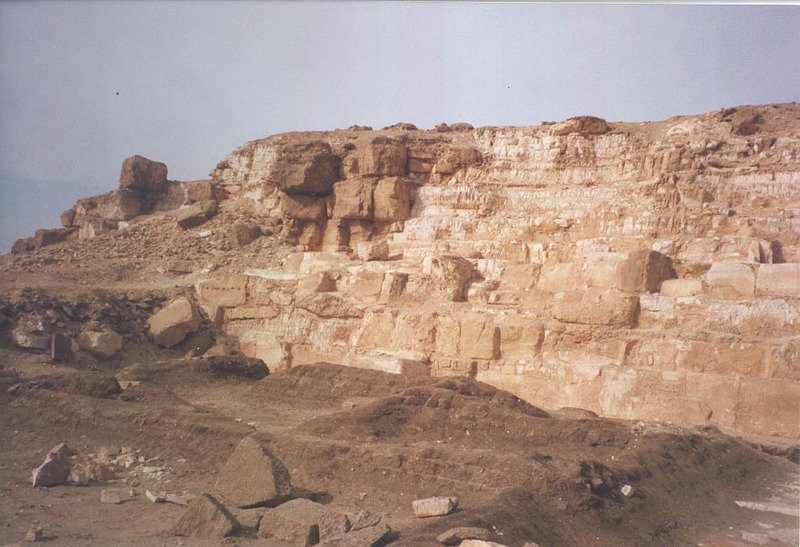 This outcrop would have already been roughly the shape of a truncated pyramid and shaped further, of note being the 65ft high deck in which all the upper chambers and GG are built directly on top of. 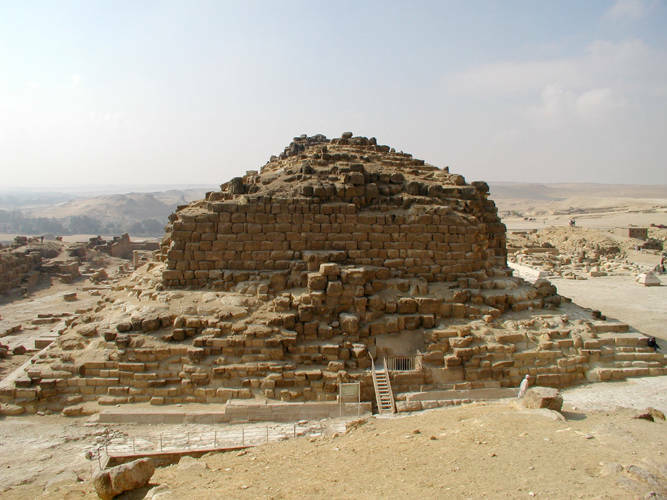 Considering the greatest volume of a pyramid is located at its base, the preexisting outcrop would have reduced the amount of labor and stone required considerably. Probably the reason this site was chosen in the first place. 2) The outcrop would have acted as a preexisting staged core which just like all the other pyramids the outer core layers would have been added later in vertically layers and not horizontally course by course (deck by deck). This further dispels the notion proposed by some, if needed, that the casing stones were laid first and the core built behind them. It stands to reason this had something to do with the creation of the foundation level set on top of the outcrop to ensure stability for the upper chambers and ramp system of the GG. In conclusion, some of you will read this and ignore what is said and only focus on the minutia that does not conform to your pet theories and pedantically argue accordingly. Do yourself and the rest of us a favor and save it. 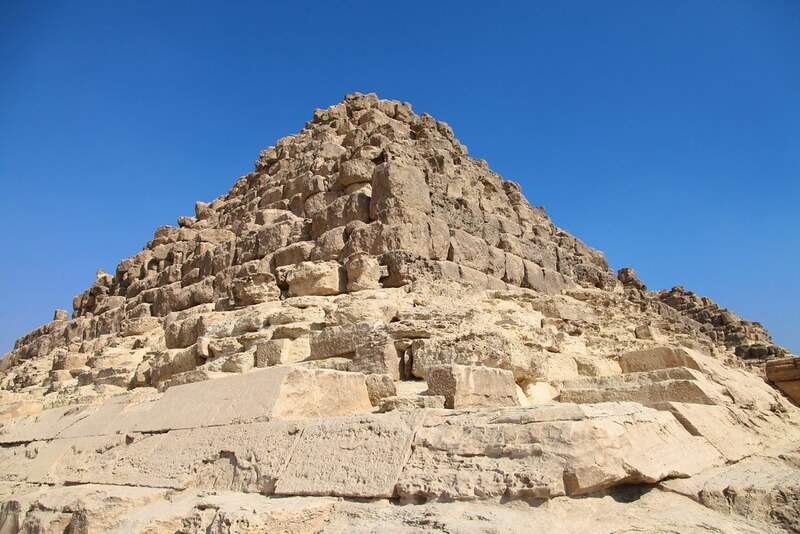 The point is that when thinking of theories of how G1 was constructed, how all of the pyramids were built must be considered, not only as it applies to them all, meaning whatever system is used must also apply to the rest, but also how what we see in these other pyramids applies to G1. Regardless of how amazing G1 is, it did not fall out of the sky and belongs to a greater whole that must equally be accounted for. Edited 23 time(s). Last edit at 02-Dec-17 17:56 by Thanos5150.